Many employers will match the funds that their employees raise for charitable causes. 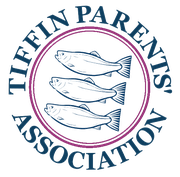 As a registered charity, Tiffin Parents Association is eligible for these kinds of programmes. They work in different ways from one company to another: some will match the money you raise pound for pound, others will have a top limit. You may even find that your company will give you time off for charitable causes, or will offer resources like printing for newsletters. A number of our own parents have been able to generate extra funds for the school by doing this, so it's well worth enquiring to see if this is something that your employer offers. Generally speaking, banks and building societies, insurance companies, supermarkets, utilities providers, energy and phone companies and car manufacturers are the kind of organisations that may have these programmes in place. They're likely to give you a request form so that they know exactly who we are and what fund raising work you've done. Other than that, there's usually not much paperwork, so please do ask your employer.